After a successful appearance at the inaugural VISION event in 2015 Permadoor, the UK’s original manufacturer of composite doors, returns to Olympia in June 2016 to engage with designers and specifiers looking for supply and fit partners in the affordable homes, new-build and social housing markets. Permadoor understands the requirements of these sectors more than any other supplier having developed a number of product firsts based upon the requirements of the sector, including DDA compliant products, communal doors, fire doors and others. Permadoor products will shortly also be available as BIM Objects, one of few composite door suppliers to be so and all products are compliant with the latest security requirements of the building regulations in Approved Document Q. 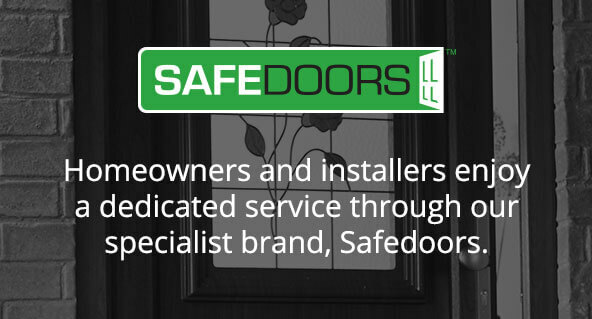 The most experienced composite door manufacturer in the market has the most comprehensive range of accreditations for its products including full compliance with Secured By Design. Extensive experience includes working with local authorities, housing associations and contractors on refurbishment and new build projects across the UK within thousands of Permadoor doors are installed. Permadoor is part of the Epwin Group, a major manufacturer of window and door products across trade, retail, new build and social housing markets. The company has a permanent stand at the Building Centre, Store Street, London. To find out more, visit www.permadoor.co.uk or call 01684 595200.